It’s pretty much impossible not to be on the Ryan Gosling bandwagon these days. What with him being utterly dreamy, as well as rocking it in films like Drive. 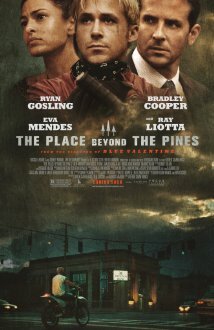 The trailer for The Place Beyond the Pines manages to cram a whole lot in. The Gosling/Mendes plotline looks pretty interesting, if a little familiar. Hopefully it can be combined with the other elements, because this could be pretty fantastic. Thoughts? I’m so very excited for this one! I saw this a while back and am really excited for it. Same here man. Looks like it could be exceptionally good. So awesome. Really looking forward to seeing Gosling and Cooper go head to head. Definitely should be very cool seeing those guys facing off.